Is mac 'n' cheese your downfall? It sure is mine. But now I've found an ally, a healthy substitute. It's a "skinny" pot of grits, conveniently cooked in the slow cooker with sweet potato (or pumpkin or butternut squash) and a little mik, with just a tablespoon of butter stirred in to finish. Good stuff this, really good stuff. Homemade macaroni and cheese is my downfall – or it would be, if I let it. What’s the recipe, you ask? It’s low-brow and sinfully good but sorry, the cheese is the highly processed not-really-cheese-at-all Velveeta. Take it upscale? Yep, I’ve tried fancy cheese, lobster too. Make it healthier? I’ve tried. Throw in vegetables like butternut squash (Butternut Squash Mac ‘n’ Cheese) and cauliflower (Cauliflower Mac ‘n’ Cheese). It’s still my downfall. But things are looking up because Sweet Potato Grits (and its cousins the Pumpkin Grits and the Butternut Squash Grits) completely satisfies my yen for mac ‘n’ cheese – with zero cheese and a single tablespoon of butter. Could you add cheese and more butter? Sure, the inspiring recipe did, a half cup of cheddar and 4 tablespoons of butter. But when I taste the grits straight from the slow cooker, to my taste that added richness just isn’t needed. And instead of devouring a potful, I am satisfied with reasonable portions, say as a base for Winter Stew or alongside Perfect Lamb Chops. Mac ‘n’ cheese may remain my downfall but thanks to these grits? I’ve got a new ally. ALANNA’s TIPS IMPORTANT Unfortunately, whether cooked on LOW or on HIGH, the grits need to be stirred often so they don’t stick to the sides and burn. This means they’re not a good candidate for a day when there’s no one at home to stick a spoon in every so often. A slow-cooker liner really helps. For sweet potatoes, I’d recommend Baked Sweet Potatoes but a Delicious Microwave Sweet Potato will do in a pinch. For pumpkin, Homemade Kabocha Squash "Pumpkin" Purée is wonderful. I haven’t used canned pumpkin but think it would work fine, especially if drained a bit, though with less flavor. For winter squash, just follow the instructions for How to Roast a Whole Butternut Squash. Kitchen Parade is written by second-generation food columnist Alanna Kellogg and features fresh, seasonal dishes for every-day healthful eating and occasional indulgences. Do you have a favorite recipe for a healthy substitute that other Kitchen Parade readers might like? Just send me a quick e-mail via recipes@kitchen-parade.com. How to print a Kitchen Parade recipe. Never miss a recipe! If you like this recipe, sign up for a free e-mail subscription. If you like Kitchen Parade, you're sure to like my food blog about vegetable recipes, too, A Veggie Venture. Follow Kitchen Parade on Facebook! If you have one, line the slow cooker with a liner, you still need to stir often but it seems to prevent scorching. Add the sweet potato, pumpkin or winter squash to the slow cooker. Stir in the grits. A splash at a time, add the buttermilk, incorporating each addition before adding another. As soon as the sweet potato (or pumpkin or winter squash) has loosened up, stir in the remaining milk and all the remaining ingredients. TO COOK ON HIGH Cover and let cook on high for about 3 hours, stirring often after the first hour. TO FINISH About a half hour before serving, check the consistency, if too loose, remove the cover and let finish cooking, stirring often. Stir in butter and adjust the seasoning. Serve immediately. Reheats beautifully, a small portion heats in the microwave in 90 seconds, a full batch heats in the oven in about 30 minutes and puffs up a little, browning nicely on top. NUTRITION INFORMATION Per Half Cup As Written/Made with 4T butter & 1/2c cheddar: 159/225 Calories; 2/9g Tot Fat; 1/6g Sat Fat; 6/25mg Cholesterol; 210/284mg Sodium; 29g Carb; 3g Fiber; 6g Sugar; 4/6g Protein. 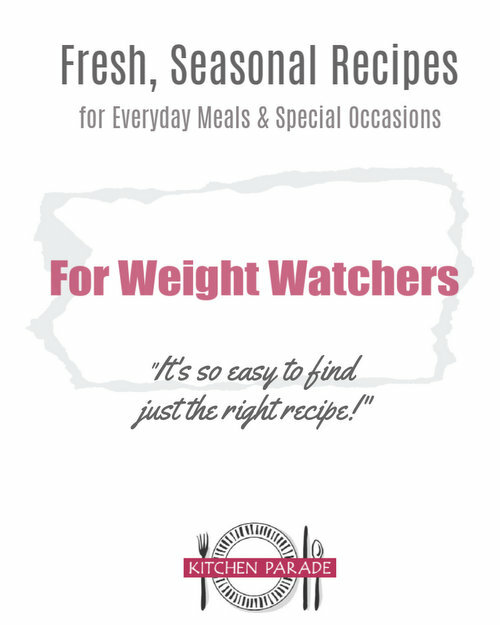 WEIGHT WATCHERS Old Points 3/4.5, PointsPlus 4/6 This recipe has been Alanna-sized with reductions in fat and adjustments to use common ingredient sizes. In 2013, I discovered still another great way to cook grits, in the microwave! The microwave moves Microwave Green Chili Cheese Grits to the table fast, in about thirty minutes. But you can also make them in the slow cooker! Line the slow cooker with a liner. In a bowl, combine 1 cup (160g) stone-ground grits with 1-1/2 cups low-fat milk, 1-1/2 cups water, 1 teaspoon kosher salt, 1 teaspoon cumin, 1 teaspoon oregano and 1/2 teaspoon garlic salt. Transfer to the slow cooker. Cook on HIGH for about 2-1/2 hours, stirring every 15 minutes after the first hour to minimize sticking or on LOW for about 7 hours, stirring occasionally. (IMPORTANT To minimize sticking, you must stir the grits often. They will still stick, you don't want to skip the liner!) Stir in 1/2 cup grated cheese and four ounces canned green chilies. Let cook for another 30 minutes, stirring often. Alanna, this looks delicious, and a perfect meal for my Slow-Cooker Thursdays, where I'm home during the day but driving kids on and off between 4-6:30 pm. I've never looked for them, but would I find stone ground grits in the grocery store? Maybe near the cornmeal? Thanks! Kir ~ You have an entire day for slow cooking? How smart! 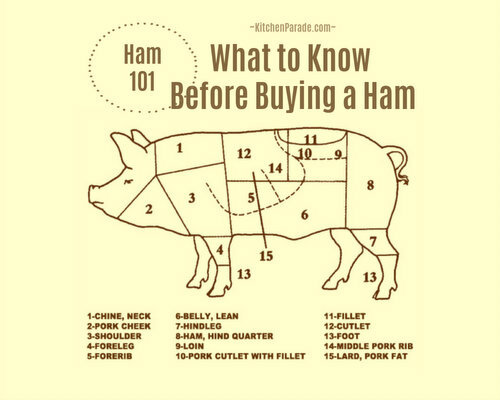 Just be sure to get this one cooked and then hold on "warm" while you're gone. As for stone-ground grits, I get them in the Bob's Red Mill section, often they're called "polenta" or something else too. Or -- I order them from War Eagle Mill in Arkansas, where I've had great luck. Alanna, this looks so seasonally wonderful and we are swimming in both pumpkins and sweet potatoes from the CSA boxes. I'm sensing lamb chops and this for Sunday supper. Denise ~ Isn't it perfect for fall? That said, I have to admit, I made this all winter long last year, starting at Thanksgiving! The grits go beautifully with lamb, great choice! I have stone-ground polenta in my freezer...do you think that would work as well, or do I really need grits? Valerie ~ First, good for you for keeping polenta in the freezer, it's the only way to keep our whole-grain flours and other grains / etc fresh. I've commandeered an entire shelf in the freezer and an entire bin in the refrigerator for flours, nuts and lots of cornmeal! And yes, your stone-ground polenta will work, many packages are actually labeled with both names, the last batch I made was on a package that only read polenta. Enjoy, I think you'll love this! Just do be mindful about the stirring! This looks delicious! I wanted to let you know that I featured this great recipe in my "What I Bookmarked This Week" post today - stop by and see! !